OER was the one conference over the years that was always on my ‘must go’ list but I never felt that I had a legitimate reason. I wasn’t formally involved in open education, either for research or teaching and learning. 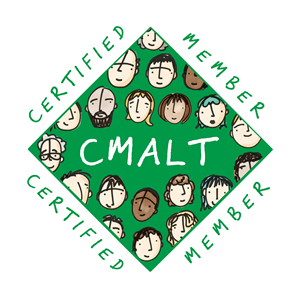 Yet, by default, I am an open practitioner, I instinctively share and ensure that as much as possible of what I do within a closed professional setting, is published and licensed with CC BY. This is entirely my choice, one taken from a position of ‘better to ask for forgiveness than permission’. Colleagues have commented on it as something that is quirky and very Clare. Attending a conference with an entire programme dedicated to open was therefore a delight and hearing that others have the same experiences and thoughts even better. This year however, as it was in Galway I couldn’t possibly miss attending in person. I was self-funding so sadly was limited to one day – so much was going on at any given time it still felt like I only experienced only a small fraction of the whole event. Thankfully, due to Twitter and the recorded sessions I have been catching up on things ever since. Throughout the day I attended sessions to inspire and encourage, others with practical advice around instilling intuitional openness and many bursting at the seams with emotion. I genuinely have never attended conference sessions that left people close to tears, or in some people actually in tears. It will take a few weeks for me to process everything and work through my thoughts. Being a part of #femedtech made the day feel even more connected and seeing such a great audience response from the sessions that I attended. This is a truly open community, that is such a success due to the strength of numbers and the supportive, inclusive approach taken by each curator (everyone has a two week stint on Twitter). Credit tenfold to Frances for instigating the movement and making us all fantastic badges. I encourage you to add your voice to the website. From across all sessions, those I was able to attend and those that I caught virtually, openness was at the heart (somewhat expectedly) but also stories. Stories were everywhere in wonderful ways; small, big, poetic, visual, heartbreaking. A couple of examples are: Kate Bowles, Suzan Koseoglu, Sara Thomas and Erica Hargreave – please watch/read/listen to these and the whole recorded stream. They wove hope and heartbreak beautifully into words that will ripple across the open sphere for years to come. My presentation felt somewhat at odds with the emotion as I had opted for a humorous slant to a practical talk, quite an Irish approach. I gambled and presented my ALT format talk in Limerick verse which turned out to be the best fun I have ever had presenting, in a session that was the best ever (SlideShare or source .pptx file in Google Drive – feel free to use). Having the freedom to do whatever you liked for the ALT format was initially a great idea, then a bit daunting and finally once I had decided on my format totally liberating. It sounds as if they were a big hit across the conference, with everyone choosing very different approaches – definitely one of the things I will be trying out again. My big side-love within my role as an educational technologist is creativity so the Amaz-Zine workshop with Bryan Mathers and Amy Burvall was so much fun – getting hands-on with paper, glue and Sharpies. The aim was to make an eight page e-zine in less than an hour – every one unique and completely different. The room was full to bursting. These rather frivolous things underpin hope and keep it burning strong, they form the solid ground to keep us from sinking under the weight of global issues, faced by our money and meritocracy driven societies. They make us smile, they fill us with energy, they stop us giving up when we are exhausted, amidst all the toxicity and technological determinism. 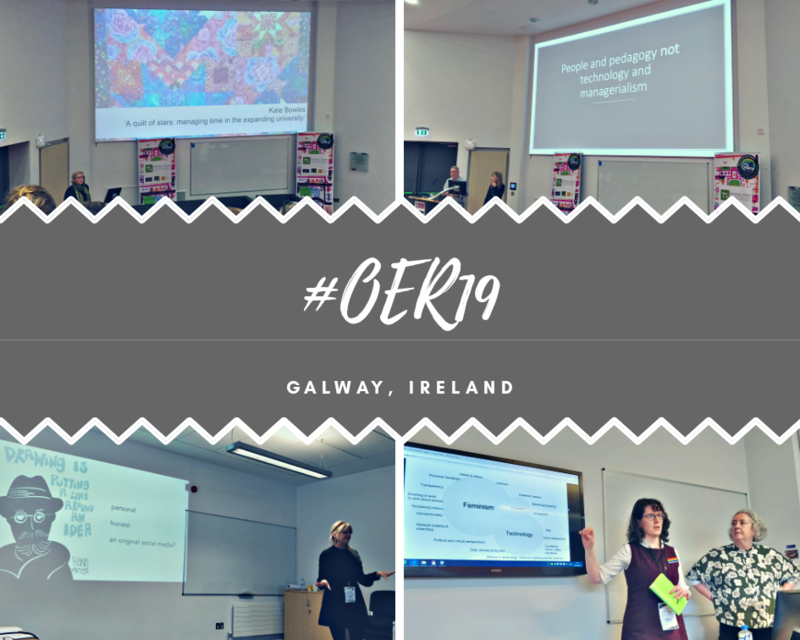 OER was indeed different to all other conferences I have attended – warm, inviting, inspirational, fun, inclusive and so much more. Full of familiar faces. This photo is the image from the Twitter stream, that encapsulated the event best for me – inspirational, open leaders. Thank you to everyone involved in the successful organisation and delivery: ALT, the conference chairs, NUIG, the conference committee and many more.